What Is Application Specific Password And How To Generate It ? In general while we are signup to Google Mail through desktop it used to ask a verification code. It is a part of authentication ( process of validation ). Where as, some applications that access your Google Account like Gmail or Outlook on your mobile cannot ask for verification codes. Here instead of using verification codes we enter an application specific password in place of normal password. 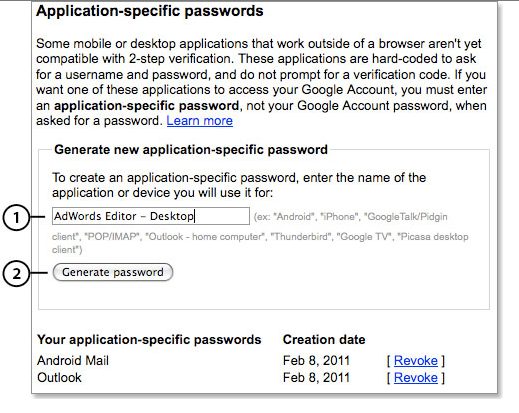 An application password is a 16 digit password which gives an app or device permission to access gmail account. 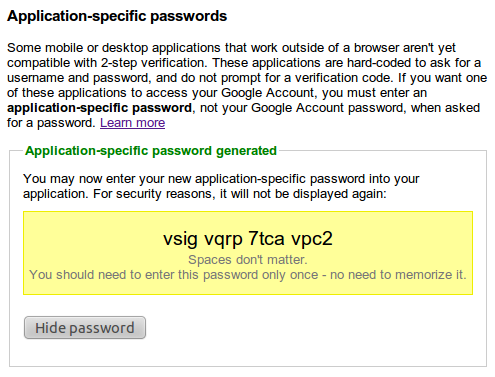 Application password solves the problems like when you use 2 step verification and occurs “in correct password” error. There is problem of memorizing because only for one app and one device it is used. But you can always generate a new app password so there is no problem if we forget that password. Gmail and Gmail calender on smart phones. How to generate Application Password ? Enter into Google applications and sites page using your google account. Under application password section enter the name of an application on which you wanted to get access and click on generate password button. Then you can see the application generated password which is 16 digit text.